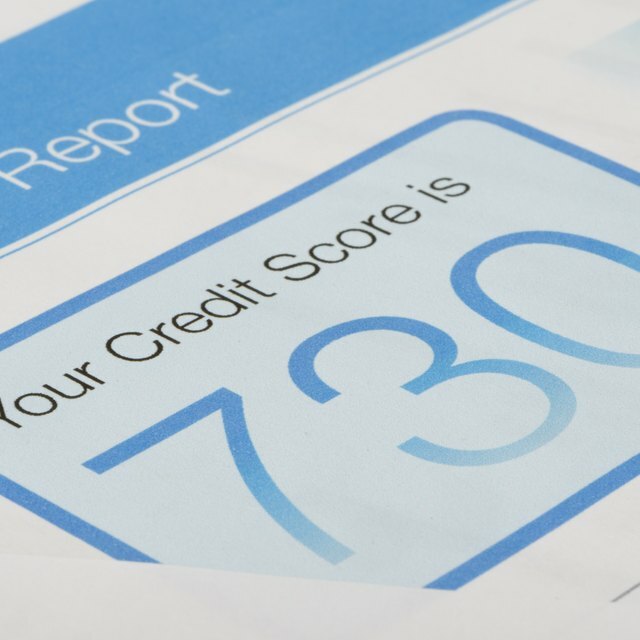 What Is the Difference Between a FICO Score and Credit Report? Your FICO score is only one aspect of your credit report. Potential lenders evaluate your entire credit report to determine whether you're a good credit risk for a new mortgage, credit card, auto loan or personal loan. Creditors report late payments and other derogatory account activity to credit reporting agencies. Positive actions, such as paying your credit card bill on time each month, appear on your credit report as well. The resulting entries either diminish or improve your FICO score. Ninety percent of lenders rely upon the FICO scoring system when making credit decisions, according to myFICO, the official website of the Fair Isaac Corporation. Fair Isaac developed two scoring models to generate either a basic or industry-specific FICO score. The basic FICO score has a scoring range between 300 and 850, while the industry-specific FICO score ranges from 250 to 900. Credit reporting agencies gather information from your creditors and report it, allowing the Fair Isaac Corporation to calculate your score. Consumers have three separate credit reports and FICO scores. Equifax, Experian and TransUnion are the three largest providers of credit reports in the nation, according to the Consumer Financial Protection Bureau. Because each of these credit bureaus gathers and reports your account activity independently of one another, each may generate a different FICO score on a tri-merge credit report. A tri-merge is a 3-in-1 report that summarizes information provided by the three bureaus. Lenders and individuals who pull your credit often prefer to review a tri-merge report, rather than relying on just one bureau and score. For example, mortgage lenders use the middle FICO score on a tri-merge report when qualifying you for a home loan. Non-lenders can also pull your credit report. Landlords, insurance providers, employers, and utility and telecommunication companies may review your credit report before approving you or extending their services. They might base their decision on a score generated by a company other than FICO. According to myFICO, it's impossible to determine the exact impact any single factor will have on your score. The importance of each category may vary, depending on the overall activity filed on your credit report. For example, a consumer with fairly new credit or a short credit history doesn't necessarily have a low score. Other factors, such as a positive payment history or relatively low account balances, may have a larger influence on the FICO score. Consumer Financial Protection Bureau: What Is a Credit Report? myFICO: What's In My FICO Scores?